Should You Teach Your L-Plater To Drive? It’s a scary moment in any parent’s life: the moment your teenager first gets their learner’s licence and you stick the L-plates on the car so you can set off on that first rather tentative drive around the block. It happened to us last week. It wasn’t as scary as it could have been. But that may have been because we were in the automatic Ford. Behind the wheel of my husband’s manual Nissan work ute things may well be different. Not all teenagers are the same behind the wheel when they first get there. Some are tentative and nervous and just about freak out as soon as the needle creeps over 30. Others are the reverse and go at everything like a bull at a gate, making the hapless parent in the front seat long for a set of dual controls like a professional driving coach and sit there with their hand on the handbrake just in case. (Not for them the sort of “handbrake” you find in some of the new Infiniti models: it’s operated by the driver’s foot. However, most of us probably wouldn’t put a teenager behind the wheel of a luxury vehicle for the first drive just in case.) Others take it in their stride, especially if they’ve had a go behind the wheel in fields, riverbeds or just up and down the driveway. The question has to be asked: should parents teach their children to drive? There are pros and cons to teaching your own teenager to drive, and you have to consider both. On the con side, if a parent has bad driving habits, these will be passed on to the next generation (see the earlier post by one of my fellow-bloggers on this topic). Driving teachers are able to pass on correct habits – well, at least they should. What’s more, when parents teach teenagers to drive, things can get emotional the way they don’t get with a driving coach. The driving coach has only seen your teenager as a young person of 16 or so. 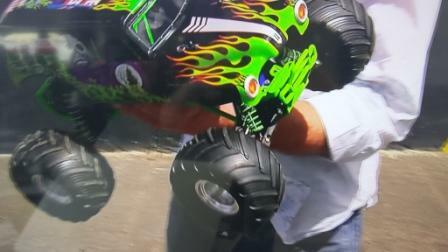 You, however, can still remember seeing your kid as a four-year-old just about whizzing onto the road on a tricycle. It cuts the other way, too, as your teenager might still be grumpy at you about some domestic issue when he/she gets behind the wheel. There’s no emotional baggage or contempt bred by familiarity with a driving coach. Defensive driving courses are excellent, but they can backfire a little on nervous nellies. All that talk about how to get yourself out of a hairy situation can produce a sort of road paranoia, where every single other driver is perceived to be heartless monster who is out to Get You. Some of those road safety messages and stats might make a sensitive teenager too scared to get behind the wheel just in case. 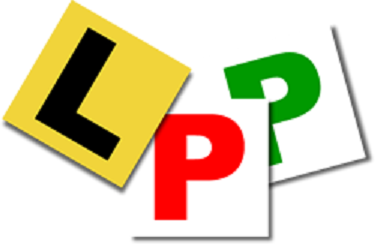 On the other hand, a teenager can get a lot more practice in if parents take the opportunity to give their L-plater the wheel as often as possible. 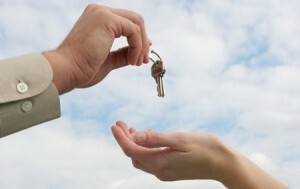 With a driving coach, there are bookings and budgets to consider. Few driving coaches offer night driving skills or long-haul driving skills, but handing your teenager the wheel for a shift while driving interstate will provide these opportunities. The other thing about teaching your teenager to drive is that it’s one of the few areas these days where parents can and do pass on skills to the next generation. The flip side of that is that a know-it-all teenager is put in the position where they are forced to realise that they don’t know it all and that the olds actually do have a few tricks up their sleeves. Don’t make/let your teenager drive if either of you is in a snot. Don’t micromanage every single metre of the drive or every single intersection. Give guidance only when you need to. This will change as time goes by as your teenager picks up more skills. Do provide a variety of contexts for your teenager to drive in, rather than just handing him/her the wheel during the easy bits. Do stay focussed, even if your teenager appears to be a confident driver. Do be prepared with soothing words of encouragement for nervous drivers or a ready hand on the handbrake for the charging bulls. Do teach good driving habits! Driver Education: Does it/should it work? Think back to when you started to learn to drive. Where was it? How did you do it? Manual or automatic? Who taught you? For me, it was the mid late 1980’s, in my home town of Perth and was done (then) through a driving school and with the emphasis on a holistic approach. It wasn’t simply sit in, strap in, ignition on and go, I was taught about getting settled before I started. Seat position, rear vision mirror, side mirrors, handbrake on (if it was a manual), that kind of thing. I was taught about indication, using headlights, observing the road ahead of me and not just the car in front. I was also taught to drive a manual, therefore becoming involved in the driving experience, not merely a steerer. All this, in an age where the VL Commodore and XF Falcon were kings of the road, technology was having a CD radio cassette and speed cameras were a glint in the revenue raiser’s eye. Importantly, it wasn’t my parents that taught me, it was people that were trained to teach people how to utilise a car to the best of the driver’s ability and was intended to put safe drivers, not idiots, out on the roads. Even then, there was no real encouragement to do follow up education, how to improve the weak spots of driving, take advantage of new information, learn about advances in car tech (Anti skid brake systems, airbags etc), it was pretty much a procession of: get learners, get lessons, get licence, go drive mum and dad’s car until you could buy your own (if mum and dad hadn’t already done so). Time moves on and slowly, slowly, people wake up to the fact that people being taught to drive aren’t being taught that well anymore, or what they were taught was a long time ago and bad habits have crept in. Along the way governments became somewhat disinterested in proper driving education and found out that bad drivers make a great source of easy money. Drivers became less interested in being a good driver and more interested in simply getting from A to B. The emphasis became more of learning to pilot an automatic transmissioned car, not getting involved in what the car does. Technology upped the ante with extra airbags, stability and traction control, better ABS, climate controlled aircon and more with a focus on auto, auto, auto; auto headlights, auto wipers, keyless entry, but, seemingly, no progress on how to drive a car fitted with all of these. Of recent years, state governments have offered different avenues for a person to obtain their driver’s license; in NSW they must complete a certain amount of hours with the assistance of a driver of at least five years experience (generally the long suffering parents) and, seemingly, with minimal real input from those that train people to drive properly. But how many bad habits are being passed down? No indication at corners or roundabouts or pulling into/out of a stop roadside? No headlights on when it’s dark or raining? iPod earphones in, ignoring a perfectly usable radio? It goes further than that when it comes to truly bad driving habits. Thankfully, against the tide, there are those that believe Australia needs better driver education post gaining a license. One of those is Phil Brock. If you think that surname is familiar, you’d be right. Apart from being the brother of the late Peter Brock, he’s been a racecar driver and firmly believes that governments need to provide further driver training, plus, back off on the spin telling us about how less people have died on our roads or have not, allegedly, been injured: Deaths: in 2000 it was 1,761, in 2009 it was 1,543. Seriously injured: in 2000 it was 26,694, in 2009 it was 34,116. Seriously injured with high threat to life: in 2000 it was 6,911, in 2009 it was 8,798. Pretty simple maths, the death toll declined by 218, but the overall serious injury rose by 9,309. So, we have a total of 42,914 people seriously injured on our roads in one year, and rising, yet the Government tells us it’s heading in the right direction? But, as Phil notes: “Apparently research PROVES that driver education is pointless, that it has no benefit to lessening the road toll at all. Also, car accidents are not caused by bad driving, unless there is a outside influence such as alcohol, drugs etc.” Yet, there’s this: “Recently we had a phone call from a mother thanking us for saving her daughter’s life. Her daughter was in an incident whlie driving on a highway and stated that our Defensive Driving Course saved her and her friends life by using the techniques she learnt in the course. As a small business passionate about its work, this is the kind of thing we love to hear about.” That was a course provided by a third party of which he has no involvement yet that information was passed to him due to his concern about driver standards and the lack of government committment to help people improve their ability on the road. In NSW, there was a person, involved in the former Roads and Traffic Authority at a high level, that metaphorically laid his life on the line to say that driver education didn’t work, that all it would do would be to have drivers go out and try and find the limits of what they’ve been taught. Thankfully, that person no longer has any sway and this way of thinking is no longer the overriding command. 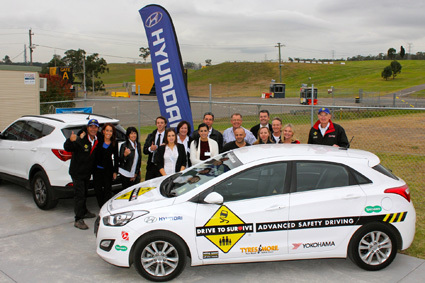 Ian Luff, former racer himself, father of V8 Supercar driver Warren and a well known promoter of driver education and safety, is another one of those that believes training saves lives. His courses are run with a touch of humour here and there, sprinkled liberally with catchphrases but with a deadly serious underlying message. It’s also the name of his hugely successful business, Drive to Survive. Ian points out the usage of ABS and how the right application of the brake pedal with an ABS fitted car, in conjunction with stability control, road observation and a change of driver attitude can go a whole lot further to saving a life or more than no training. Something as simple as having the side window fully raised or fully retracted, instead of half way, where a sideways impact can violently move the head to the side, directly placing the neck right on top of the hardened glass edge. Being observant whilst driving; here, Ian shows some not so pretty pictures of cars windscreen deep into a truck’s rear, at just the right height for the front seat passengers to literally lose their head, thanks to a driver simply not paying attention or playing with an electronic device. Ian also explains that, although understanding the financial aspect of buying an older, cheaper car for your children, the engineering aspect comes into play with chassis design, crumple zones and such. This is clearly identified by a video which shows two cars, one modern and the other of an eighties vintage, being pushed at high speed into a concrete block as part of a crash study. The result for the older car is not pretty. Yet, as Ian explains, if a driver was taught properly, the chance of a crash (there is NO such thing as an accident) can be minimised. Note that word minimised. There are instances where a crash has happened and has been unavoidable. When it comes to training and education, there’s pretty simple examples of where this works when it comes to road vehicles: every single racing car driver worldwide. ( http://www.carsguide.com.au/news-and-reviews/car-news/lowndes_backs_driver_training as one example) How’s that, you ask? Simple: imagine yourself in a racecar, without any education or training as to the capability of that vehicle. Think of how easy it might be to stall it on start up, how the brake setup will stop you harder and more efficiently than your road car, how much more grippier the tyres are, how much extra speed you can carry into a turn, how easy it is to completely stuff it up and crash because you’ve had no training. As business development manager at Drive to Survive, Stewart Nicholls says: “ If education doesn’t work then let’s close all the schools and universities now.” It’s a fair point; in just about every single position of employment world wide there is training. Further to that, there’s ongoing training. A pilot isn’t simply taught to fly a Cessna then unleashed upon the public by flying, untrained, a 747. A surgeon simply doesn’t pick up a sharp knife and hack away to pull out your inflamed appendix. There’s the initial training and then there’s more, yet when it comes to something most of us take for granted, but costs the country billions of dollars in hospital costs, medical bills and rehabilitation after a crash, to say that it’s a bad thing driver education and training is akin to saying it’s ok to climb Mt Everest with no clothes on. Vehicle dealerships of certain brands include driver training as part of the sale package, knowing it’ll be better, not worse, to do so. The naysayers point out research, government feedback that “point towards further driver education being ineffective”. The problem with that statement are the innumerable drivers that are better drivers because of further driver education and training. Quite simply, if you believe you’re a good driver and need no further training, go and do a course. You’ll be horrified at how bad you are, how little you’ve improved since you got your license sometime last century and grateful to find out that the rose coloured glasses finally got that much needed clean. Those who like to follow the news from the motorsport world will doubtless have heard about the furore about what they won’t be hearing. Yes, folks, there have been a bunch of new regulations introduced that have seen the engines making not quite the same noise as they used to, as there’s been a rev limit put on the 1.6-litre turbocharged V6 hybrids: 15,000 instead of the 18,000 of last year. To judge by what some commentators have been saying, you’d think that the new F1s were dead silent. Wrong. However, they do sound very different. If you remember back to your high school physics days, you might recall that the more frequently something vibrates, the higher the note it produces. The rate of revs sets up vibrations in the air, which creates sound waves. The old sort of engine produced more vibrations, so you got that higher pitched note. The new ones have a deeper tone. Personally, I like this. 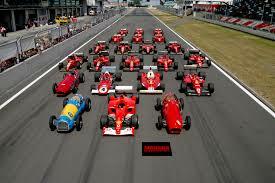 One of the two things I have always disliked about F1 motor racing is the sound. The “scream” of the engine beloved of some always reminded me either of a very whiny toddler or a mosquito beside a microphone. It put my teeth on edge. Trackside at an F1 meet to me was reminiscent of something from Dante’s Inferno: all vile fumes and hideous incessant screaming noises. The new noise, however, isn’t as hellish. Decibel-wise, it’s the same as it used to be, but the note is a lot more tolerable. The race cars sound more like aeroplanes than oversized wasps. Let’s face it: deep notes in a powerful engine are always lovely to listen to. It’s one of the things that makes a Jaguar a Jaguar (and, for those who like two wheels, it’s one of the key characteristics of Harley-Davidsons and Triumphs). Apparently, the moves have been introduced as a way of making F1 racing slightly more eco-friendly and sustainable, as these new engines use a tad less petrol than the old ones. This is something I’m in favour of as well, as my other main objection to F1 has been the fact that it does chew through a lot of petrol just to whizz around a circular racetrack at high speed. There is only a limited amount of crude oil on the planet and while motor racing is a lot of fun, it’s good that they’re using a smaller share. Means that there’ll be a shade more for the ambulances. The manufacturers are liking the move, with Renault and Honda (with McLaren) apparently getting back into the F1 act. Given the way that what happens on the racetrack eventually trickles down into the production cars that you and I drive to work or the school run, this is a good thing. It should mean that we’ll get better, more efficient hybrids on the roads. Eventually. For those who haven’t heard the difference, you can hear it at this very popular video (from Melbourne, no less!). Note the lack of earmuffs in the 2014 footage. Every year in the UK, many thousands of (middle class usually) people flock on down to the legendary ‘Ideal Home Show’ at the Earls Court Exhibition Centre. Architects, fashion stars, chefs, home designers and many more gather at this celebration of, you guessed it, the ‘Ideal Home’. It truly is the epicentre of everything modern and trendy in the home world. For many moons, I have heard wondrous stories from family members and friends of their trips to this homely holy land. This year was the year I finally got to go, on a little family trip with my mum. An entire exhibition dedicated to the best and greatest from the modern home… OOH LOOK THEY’VE GOT NEW LEXUS MODELS ON SHOW. That was me sorted for the day. 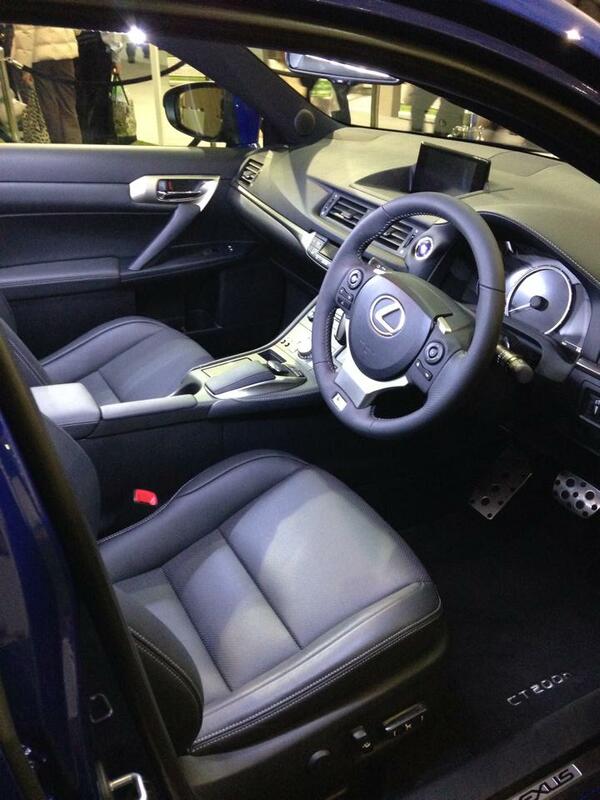 Lexus is actually part of the Japanese manufacturer Toyota, existing as the luxury brand. 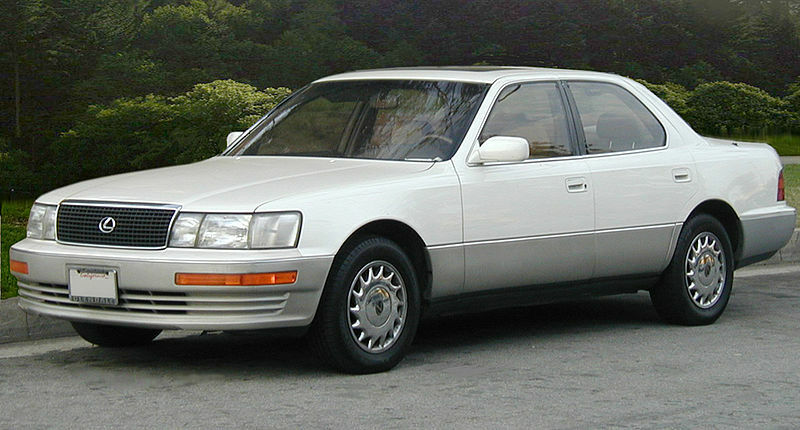 The first Lexus was released in 1989, subsequently producing cars of all types, from sedans to 4x4s. In 2005, Lexus began its hybrid program which is still being developed today. 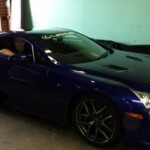 Since its’ original release, Lexus has expanded to cover the world market, seeing significant success in the US market. 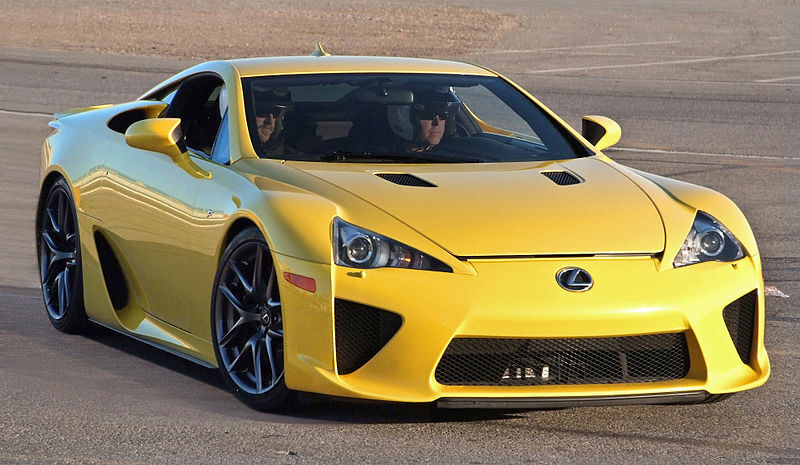 2009 saw the release of the LFA, a world conquering supercar that has vanquished all that lay before it. It is fair to say that Lexus are not particularly known for their motorsport pedigree, but it certainly didn’t stop them giving it a go. 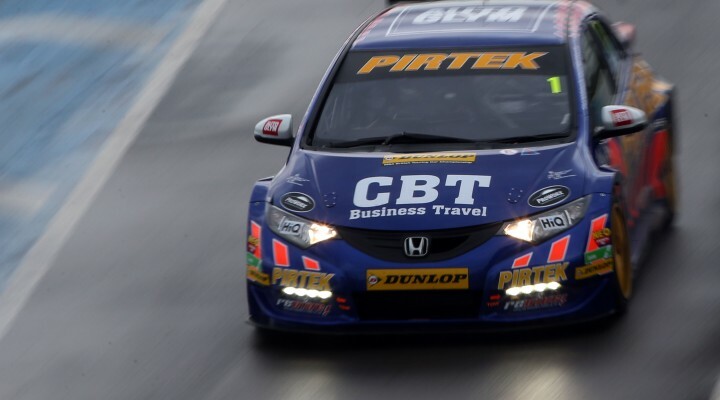 And where else would you try racing than the British Touring Car Championship? 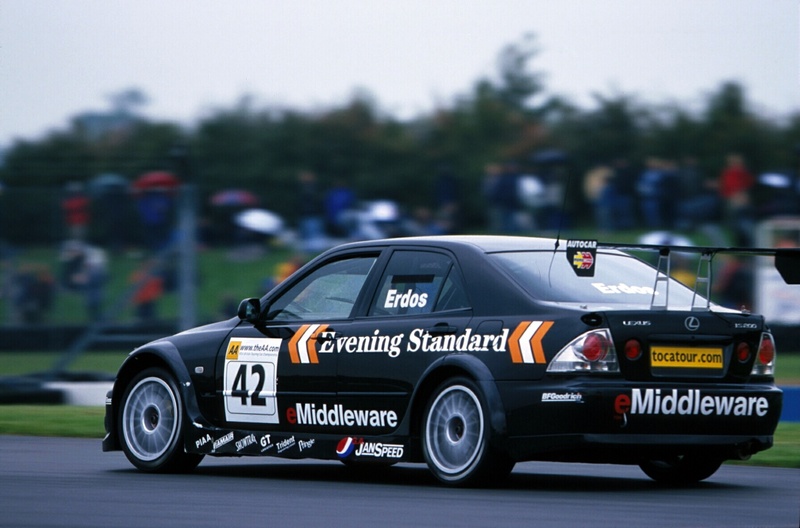 In 2001, ABG Motorsport built a Lexus IS20o to enter into the season; sadly it was considerably out gunned by the other teams. The same happened in 2005/06. Ever since then the Lexus has fallen into disuse as a touring car. However, at the 2014 Geneva show, a new RC-F GT3 was released that is rumoured to be entered into various GT series across the world. 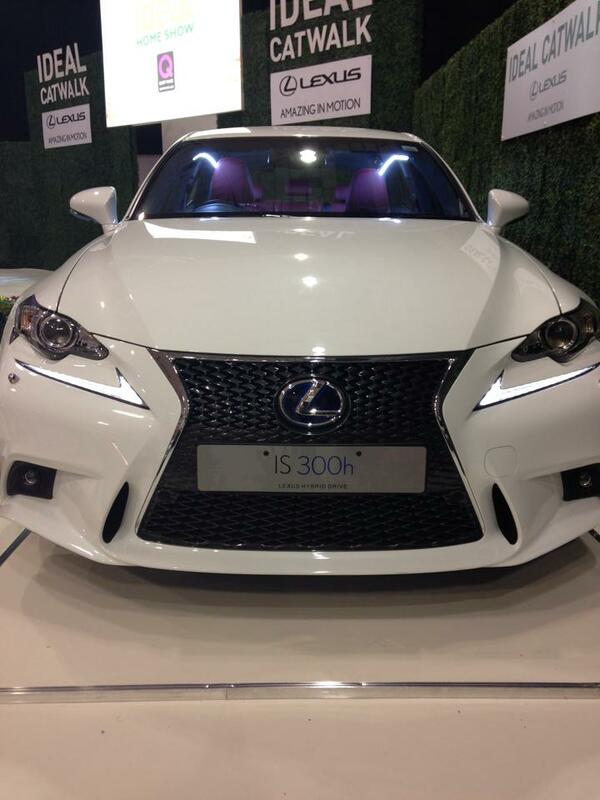 What was Lexus doing at a home show? When I first arrived at the show, I was asking myself this very question. It seemed strange that Lexus were appearing at a show about home living, let alone acting as one of the title sponsors. However, on closer inspection, it begins to make considerably more sense. Lexus has hopped right onto the hybrid ‘save the planet’ bandwagon. I may sound like I am anti-hybrid; in fact I am fascinated and excited by the development of these new greener technologies. In recent years, Lexus has worked incredibly hard on their own hybrid technology and now have an impressive range of models. Their system, as with most hybrid cars, combines an electric motor with a traditional petrol engine to optimise performance and reduce carbon emissions (you know how the story goes). Lexus have since become one of the forerunners of luxury yet affordable hybrid cars, and this in many ways projects the same message as the Home Show itself. At the event itself, Lexus were marketed as THE car to have in any modern home. Sleek, stylish, green, luxury, affordable etc etc. 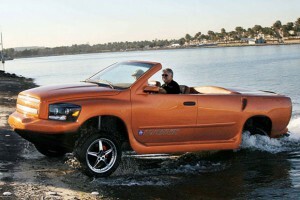 What do I think of the new Lexus models? To look at, I must say that the new hybrid range are attractive beasts. 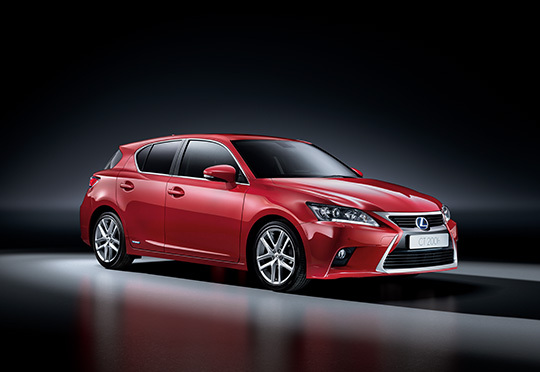 The CT 200h for example, as you can see above, has the right curves, the right angles, the right look. Not only that, the CT 200h is the first full hybrid luxury compact car, fancy ey? If we take a look inside, the new model is furnished with all the latest fancy equipment and I must say, has a very comfortable feel to it. All the models, whether they are a compact car, saloon or 4×4, are almost carbon copies of each other in terms of front end and interior. Many might take that comment as a criticism, but in my view, when you have a good look going on, why spoil it by changing things? 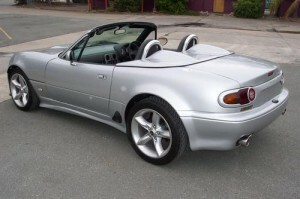 There is however, one fundamental flaw with these cars. From the outside they look both glamorous and spacious, when in fact the Lexus seem to be some sort of reverse Doctor Who TARDIS contraption. I don’t really understand how they’ve managed it if I am honest. It may be because you are expecting spacious happiness, but the reality is most definitely a cramped chamber of achy muscles and restless journeys. These cars must have one hell of a body kit on them that it makes them look so large when in fact they are hiding a dark tiny secret. It may be obvious that they have devoted a lot of time and money to the look and feel of the interior, but clearly they lost the memo that asked them to make sure there was still enough room for people to you know, fit. Speaking of space, the boot space is outrageously disappointing in these cars. To put it into perspective, I have more space in the back of my MG ZS saloon car than I saw in the back of the 4×4 Lexus hybrid. That isn’t right. As the Lexus is a luxury car brand, it may not be re-mortgaging your house expensive, but they do charge a fair amount. The CT 200h charges between £20,000 – £29,000 depending on how many extras you so desire. Considering the comfort issue for passengers, maybe this is a bit much. 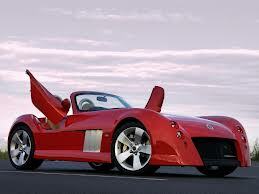 I will admit that I have not yet had the chance to test drive one of these cars, but I soon hope to change that. I mean for all I know driving these new cars may be the single greatest experience since someone thought to mix gin with tonic. Let me work on that. Basically, I really do not know what Lexus are trying to achieve with these new hybrid cars. From what I have seen, it is like they are trying to turn the Lexus hybrids into the new Prius; a fashion statement more than a car. It seems to me that they have worked on creating a car with the right ‘image’ and ‘statement’ for the modern world that they have forgotten to create a decent car. Passenger comfort and space is one of the focal points to any decent make of car, any lack of it wherever it may be will be of massive detrimental effect to the sales and success. The cars fit perfectly in the world of ideal homes and modern living, but I do wonder how they would get on in the real world. Dreaming and reality are two completely different things after all. Something may appear wonderful, but once you have to live with it everyday, will you keep the same opinion? Until I have the chance to drive one of these cars, I may indeed be very wrong about my initial conclusions of the cars. If any of my wonderful readers have had the chance to drive one of these new machines, I would love to hear what you think of them! And remember, I love being proved wrong so do not be afraid to disagree with me! It’s 4pm, Friday afternoon, March 7th. Ominous clouds hover overhead whilst Thor throws down bolt after bolt of lightning. Thunder ripples through the air as a result but most eyes are on the scene unfolding in a marquee. Not only are there Jeremy Clarkson and production assistants, there’s a McLaren MP 4/4, once driven by Ayrton Senna. There’s also the engaging nephew of Ayrton, the swoon inducing (according to my female colleagues), Bruno. The interview concludes, it’s due to be shown on the large screens dotting the Sydney Motorsport Park complex, host to the Top Gear Festival Sydney 2014. The storm moves on around to the east and heads north, allowing the unveiling of the McLaren 650S, just days after the world premiere at the Geneva Motor Show. Startling in its intensive blue colour, it’s more than a machine, it’s a work of art. It’s a great lead in to what promises to be a great weekend. Saturday morning, 7am. I’m up, if not awake. Coffee, breakfast, I’m away. There’s a queue already at the gates, people waiting for the doors to open at 8.30am. My co-host, John, meets me at our commentary spot and we catch up with the people behind the scenes from last years successful debut. We’re on the mics, welcoming exhibitors and letting them know the punters are baying for their blood. gates open and roles are reversed, letting the punters know who’s there to see and buy from. There’s plenty, from ROH Wheels to Turtle Wax to HDT-SV to look at, plus, on the South Circuit, where the McLaren resides, is the Motoring in Motion section, where people can experience rides in the Volvo S60, Jaguar range and more. Come 9am and it’s time to introduce a couple of people……except 9 comes and goes. There’s a delay in getting the opening presenters to the stunt vehicles opening the show. Eventually the Isuzu D-Max utes are rolling, on their right side wheels, with Steve Pizzati and Riana Crehan to jump out and kick things off. The day becomes a melange of stunt driving, posties bike racing, Matt Mingay cars and bikes, drift cars, Shane Jacobson’s lightning fast wisecracks, banter between Shane, Steve and Riana, Daniel Ricciardo blasting around the circuit in the Red Bull F1 car from 2011 (breaking Mark Webber’s Saturday time quickly), a contest between a ute and an esky…race offs between various kinds of cars such as the Erebus Motorsport GT3 SLS or Neal Bates and a WRC Corolla. Channel 9 reporter Erin Molan was taken for a lap with Bruno Senna, erstwhily answering general knowledge questions….failing dismally in the process. There were more screams in two minutes than in a horror movie marathon. And yes, Jeremy and James were there, as was the Stig. The English presenters seem distracted, disinterested and, in truth, account for barely an hour of the schedule. But at least it didn’t rain. Sunday was a repeat, program wise; the presenters started on time, there were two more people in the Car Bungy jump, including Riana. 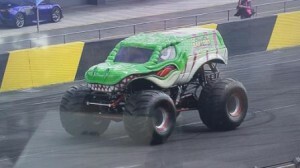 There were more drifting demos, more jokes, another few laps from the D-Max duo whilst the crowd seemed restless. Michelle Jenneke made an appearance, a much appreciated one to reprise her race against Clarkson from last year but with a twist. This time round, she would do some hurdles instead of all sprints, while Jeremy would also hurdle. In a car. Unexpectedly (cough) the lissome Jenneke’s warmup routine was warmly greeted by the male crowd. 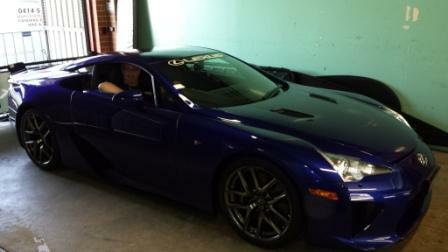 Hilarity ensues as Clarkson makes a few gags, drives the Lexus LF-A through polystyrene ramps and takes Michelle away. May contributes by attempting to race a monster truck with…a mon ster truck, in this case, a radio controlled one through the wheelbase of a genuine one. Sadly, a few models gives their lives. Happily, they’re donated to a couple of younger crowd members. Minus controls. Ricciardo comes out, makes a mockery of yesterday’s time, runs in the car challenge which features a few laps of high speed and includes Garth Walden’s World Time Attack winning monster. 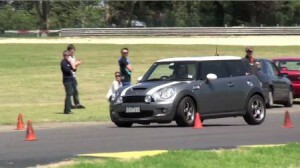 There’s a couple of drag cars, one bloke sets a burnout record, there’s applause. It’s all good fun, there’s the car soccer with the three wheeled Robin Reliants, the day rounds off with the third race of the Porsche GT3 Cup Challenge and that’s it. At least it didn’t rain. Toyota’s HiLux is a nameplate that’s been with us for quite some time, 1968 in fact. It’s been available in two and four wheel drive, hi rise and low rise configuration, two and four doors, diesel and petrol with one constant: a utility tray at the back. 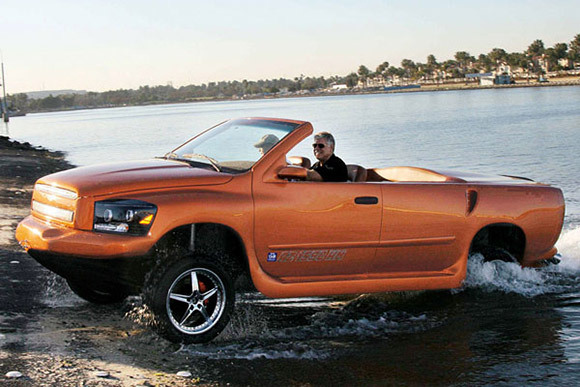 I look at the latest model SR5, with two doors, four seats and a diesel manual drive train. It’s a grunty 3.0L diesel under the broad intake scooped bonnet, a low revver at that, with 126kW peaking at 3600rpm whilst torque is a sizeable 343 torques. What’s important here is the rev point: just 1400 rpm. This allows short shift as there’s little point goint past 2000 and it’s borne out by how rapidly the engine feels breathless. The gearbox is a five speed manual with transfer case. The lever for the manual is long, mostly intuitive but there were times when it refused to play ball, with reverse or third occasionally simply refusing to acknowledge its presence. The transfer case lever was the same; down and to the right and up again to go from 2WD to 4WD high range to 4WD low range. A hefty shove was required to move it back to 2WD position. Clutch pressure was ideal, balanced, with the pickup point also ideally positioned in the travel rather than lightswitch on/off. On the road the 4WD suspension is taut, tight, jiggly, with speedbumps sending the rear end skywards and sideways easily; the front is also tight but not quite so. Turn in is tight, with a touch of understeer as the tyres (mounted on stylish 17 inch alloys, at 265/65 profile) understandably, with an offroad tread, squeal their way through corners however there’s no noticeable lift off understeer at speed, especially on a downhill run. It’s a hard call; soften the rear to deal with roads better (knowing it’s tight due to presumed usage for workers) or leave it for a purchaser to decide if it’s too much IF they’re using it for family usage. During a freeway run the HiLux rolls along nicely, as expected from such high torque at low revs (somewhat surprised only a five cogger though) but the drone from the body/intake is tiresome on the freeway. The audio system, adequate at best, needs to be turned up to the proverbial eleven in an effort to mute the sound. It’s noisy, unpleasant and wearisome. Acceleration is leisurely, progressive rather than being thrust back in your seats fast, with gear ratios in mind for the more intended loaded up usage, I suspect. The tautness of the suspension is noticeable here, with smaller undulations coming across as the pea in the princess’ bed. The higher ride height also plays havoc, at night, with smaller cars in front, with the headlights ideally placed to beam straight into the rear vision mirror. Interior comfort levels are good, with the driver’s seat feeling, initially, somewhat short in the seat squab and feeling as if under thigh support wasn’t there all the time. It took a day or two for that to be of no consequence; what was noticeable was the chintzy silver plastic garnish around the audio system and central airvents and on the tiller. Cheap, cheap cheap, yuck. It sits atop a simple, graphic based, aircon system, with a monochrome display. Foolproof. 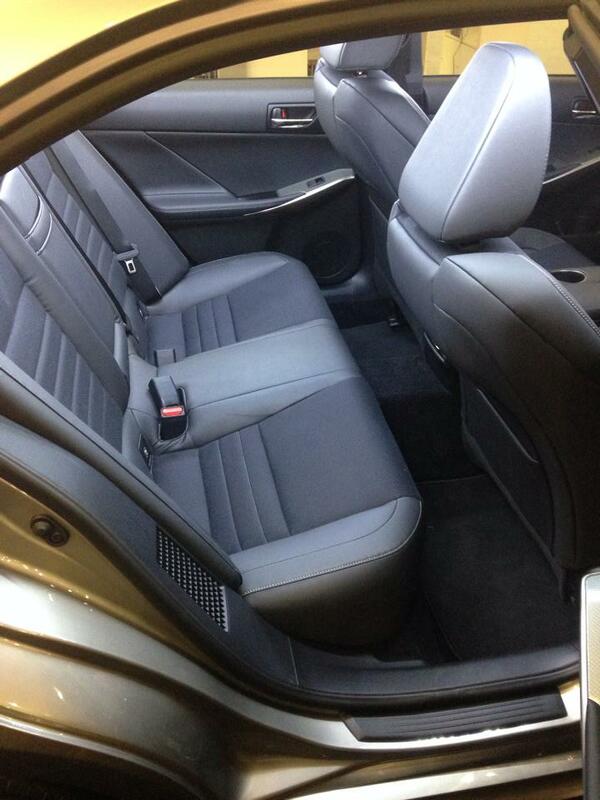 The rear seats are, ostensibly, for three people. That’s possible if they’re small. With two sub seven year old kids and with the requisite child seats, it’s a tad squeezy. The cushions are flat, unsupportive and wouldn’t be great for runs of more than a couple of hours, if that long. Nor would they be suitable for two adults as: 1) only the passenger seat flips forward for rear seat entry and 2) leg room is a compromise. The dash is elegant in its own simplicity; two major dials and two sub dials, giving you speed, revs, fuel and what temperature to cook the eggs at. A soft red backlight at night adds to the lustre. It’s a bluff, no nonsense look on the outside; it’s an upright centre grille rolling either side to a gentle slope towards the windscreen from the headlights. Being the XTra Cab and two doors, there’s a bit of extra sheetmetal abaft the doors before leading into the tray, fitted (in this case) with a floor only liner (full tub liners should be available via Toyota spare parts) with the rear ‘gate sporting the reverse camera, somewhat oddly positioned off to the left. Sidesteps, a solid step rear bar and dual pipe sportsbar complete the picture. At $50K or so driveaway (pricing can be found at: http://www.toyota.com.au/hilux/prices) for the diesel SR5 manual, it’s a bit of an ask for a vehicle that, on the face of it, doesn’t appear to offer much different to interlopers of recent times. On the face of it…Toyota has built a reputation on a few things, including almost bullet proof four wheel drive vehicles (witness the Top Gear UK episode which featured a HiLux) and that is something that sits almost subconsciously with buyers. This HiLux isn’t for me, but I’m not its intended market. 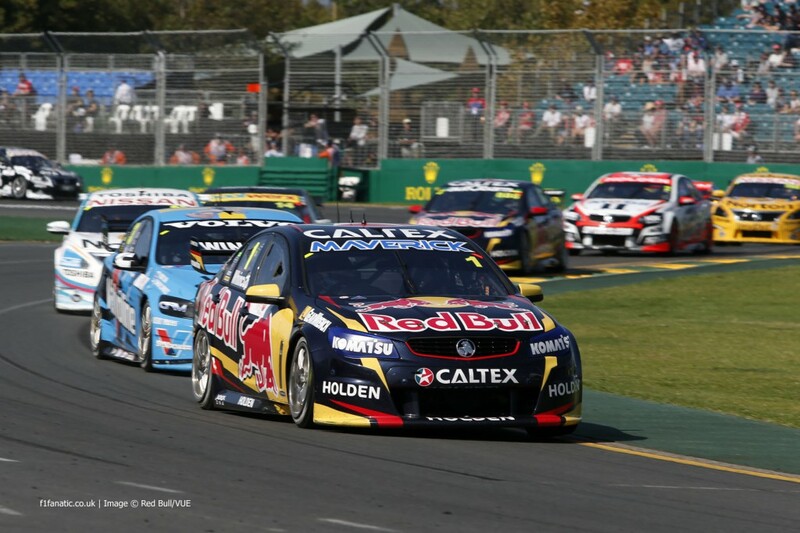 So where to from here for those involved in the current Australian car manufacturing scene? With Ford’s manufacture of cars in Australia closing in 2016, and Holden and Toyota closing their manufacturing operations in 2017, this will leave Australia without any major car manufacturing going on. With premium car manufacturing being so expensive to perform in Australia, the cost of physical labour in Australia is unlikely to become competitive on a global scale anytime soon. That’s not a particularly bad thing though, because I bet there are not many Australians who would want their wages to drop to the equivalent level of those in some other countries around the world. Maybe the answer lies in the consumer. How can we ensure that we support the buying of cars designed and manufactured in Australia? Supporting Australian manufacturers and suppliers has got to be the best thing that we can do to keep Australia on its feet and going forward. Wouldn’t it be great if Australia could be a whole lot less dependent on cheap labour and goods from overseas? There are some small scale car designers and manufacturers currently active in Australia. 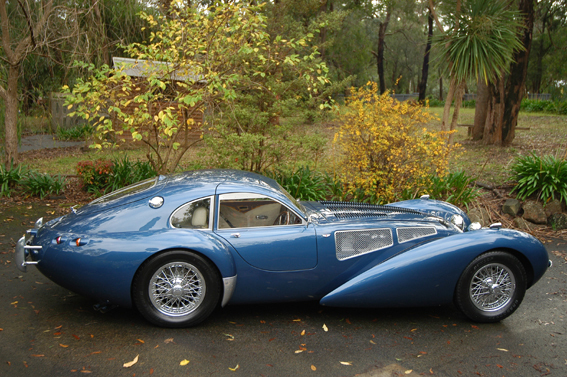 Has anyone heard of the Australian Kit Car, Bullet, Carbontech, Classic Revival, Daytona, Deuce Customs, Devaux, DRB, Elfin, G-Force, Kraftwerkz, Nota, Python, Roaring Forties, Skelta and Tomcar? We need to get alongside these guys and support them in what they do. I wonder if one or two of the people losing their job in the big gun names might be able to use their skills with any of these small scale car manufacturers. Also fully producing vehicles of a different kind are Australian truck manufacturers IVECO, Mack Trucks and Paccar Inc. The rising of the sun was met with an air of tension. The sandy plains shifted their undulating mass across the vast empty landscape. The tumbleweed rolled effortlessly across the scene with a stereotypical ease. A wooden sign stands alone, existing in a state of decaying eternity. The letters upon the sign have long since lost their clarity, yet the message has been etched into the fabric of time. Alas, only the worthy may receive the ultimate gift of vision. In the distance, the landscape was interrupted by the return of a long forgotten force; the force to shake the very foundations of the earth. Moving ever closer upon their trusty steeds, our heroes have answered the cries of the many. For between them, they have witnessed the passing of many moons, fought many battles and vanquished many foes. But for our battle-scarred cowboys, one final challenge remains. They must face their biggest test yet, apart from the startling number of clichés; they must face each other. As they ride ever closer upon their mighty stallions, their identity springs forth into reality. Of these 7 great riders, not one was the same. They were linked only by their greatness. Each deserved his own introduction. For they are the Magnificent Seven; the titans that walk upon the soil of the earth. We begin with the newly initiated member of the party. Sheriff Jordan proved his worth in the great events that have become known as the ‘Pirtek Times’. He stood independently against the dominant forces of his land, overcoming his foes one by one in ultimate glory. For his bravery and determination he was awarded the Sheriffs badge and will stand for the name and strength of all independents across the land. As the dust of anticipation begins to settle, the figure of our second of our seven becomes visible. Feared among many, Commissioner Plato has become infamous across the land; he is never afraid to use brutal force to put those who oppose him back into line. The Commissioner is a battle hardened veteran of our story, but age merely focuses his powers. The Commissioner is followed closely by a man whose rank is unknown, he is known only as ‘Flash’. His ascent to command has been swift. Little is known about the homeland of our hero, only that he hails from the vicious wilds of the northern territories. He holds position with the high ranking ‘Yuasa Party’ that has given the Honda region supremacy. Never a forgotten man, Commander Turkington is a relative newcomer to the field of battle, but has very quickly earned himself a reputable status. On many occasions he has taken struggling bands of fighters and led through to glory. He refuses to lose his new found power. These riders may ride as one, but the past is a cruel mistress; dark clouds form over the tranquillity of these freedom fighters. Superintendent Neal rides astride his stallion, towering above those who bask in his stature. A folk tale has been narrated for many generations across the land of the free; this is the tale of a titanic clash of power between the Superintendent and the Commissioner. Word has reached the ears of the many that these two lords of their land ride for glory once more. Will this end in the ultimate stand off? He rides as a foreigner in these lands, but has been feared by those who dare challenge his dominance. Next we see Generale Giovanardi, commander of the forces from a distant land. He lust for power has seen the demise of many brave warriors. Only the foolish would dare challenge him. And finally, a man rides with his Stetson pulled low, riding in the shadows. To the other riders in our company, this man was once only spoken about in hushed tones. Many thought him to be a forgotten icon of an ancient time; a time where giants rode across the desert sands, waging violent war on all that lay before them. He has returned to take back what he is. He has no rank, he has no captain, he just has his trusty steed. He is known, only as Menu. Everything has come down to this. The call has been answered. The greatest leaders of our time have come together. 7 riders. 1 prize. This will be the ultimate showdown. This is the Magnificent Seven. Guns at the ready. Thanks for this post goes to Stopwatch Hospitality who have always shown support to my articles I write for Private Fleet. 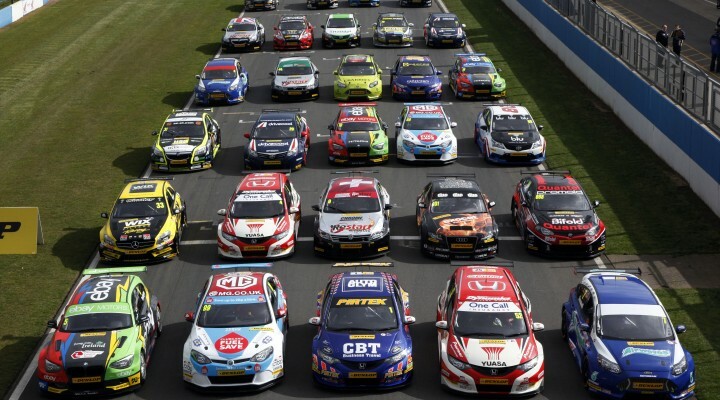 This post was inspired by the picture you see above, created by Stopwatch Hospitality to celebrate just how exciting the 2014 BTCC championship will be. I am indeed aware that I recently published an article detailing a possible 8th driver, but until he is confirmed the number is fixed on seven. 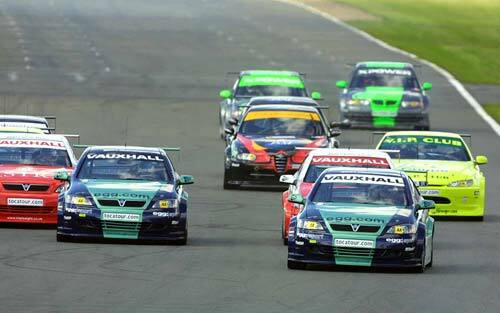 The British Touring Car Championship 2014 kicks off at Brands Hatch on 29th/30th March! 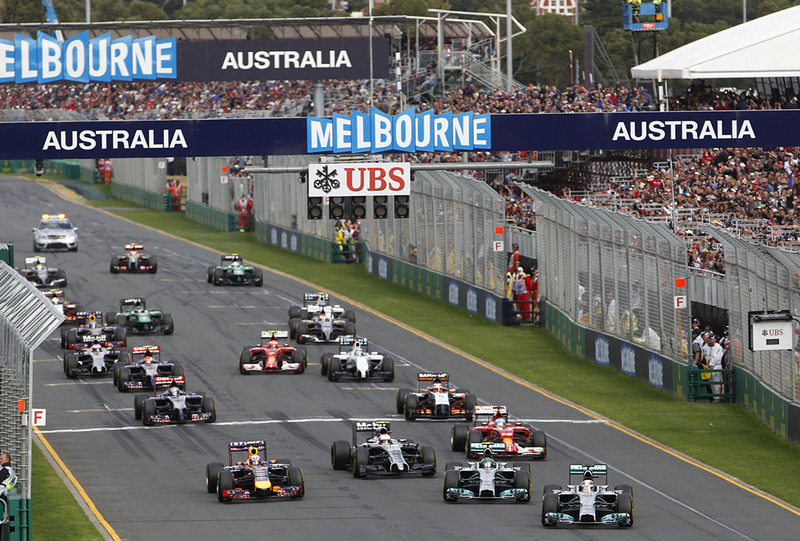 Stopwatch Hospitality are an amazing company that provide top-class hospitality at motorsport events. 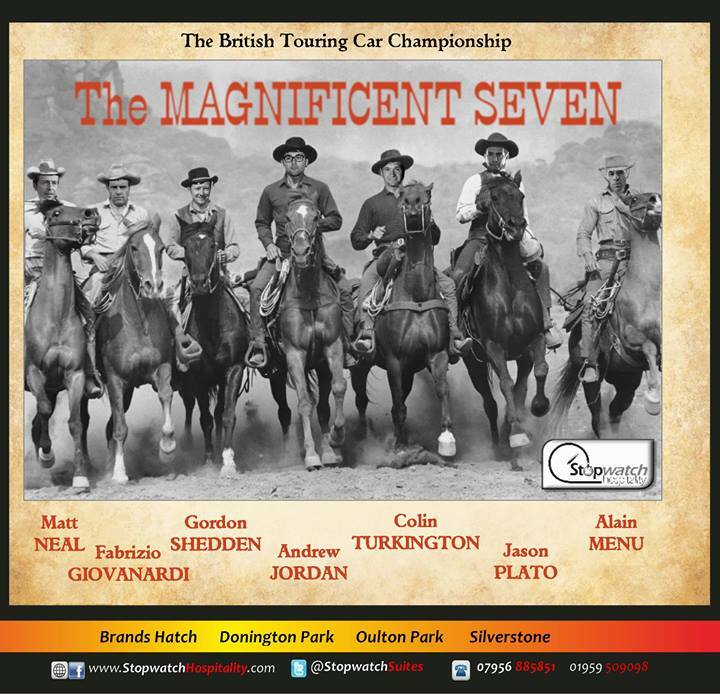 They are the first choice in hospitality for any motorsport fan!